B, D, E, F, and G are correct because those lines of code will NOT compile. B,(line 6),is incorrect because List is abstract. D, E, F, and G are all incorrect because polymorphic assignments can’t be applied to the generic type parameter. A is incorrect based on the above. 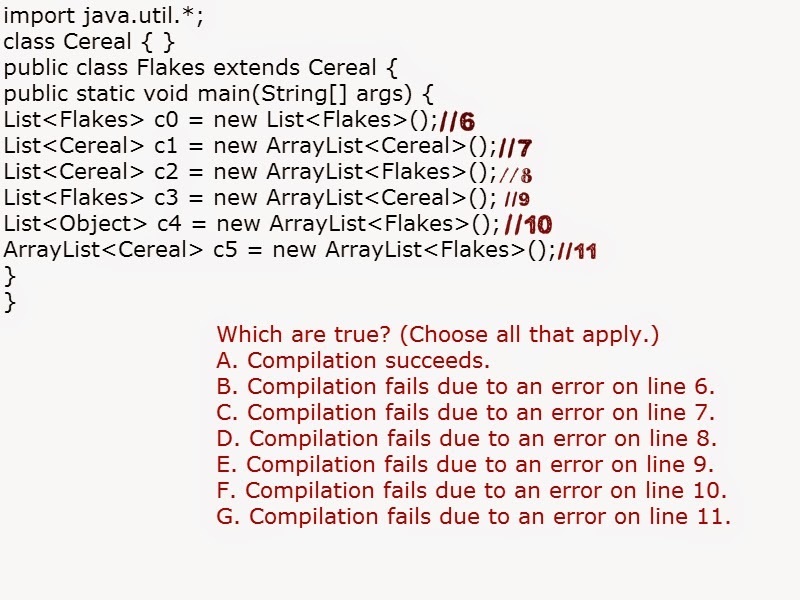 C is incorrect because line 7 uses legal syntax.